A few weeks back I have been trying some organic skin care products that have been sent to me for review consideration and unfortunately they broke me out. I was quite surprised when that happened because I don't usually break out from skin care or makeup products, most especially organic products. My skin became really bad, I had a couple of big zits on my face and my face even became drier than it normally was. None of my previous skin care products helped me out even if they used to solve all my skin problems. 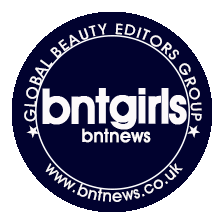 Fortunately for me, I received a lot of exciting skin care items in my monthly BNTNews Beauty Box. I was willing to try out anything just to relieve the break outs and the rawness of my skin. The first product that really caught my attention was the Verikos Aloe Calming Oil. It is made of organic ingredients and "raises skin that is under stress by an outside hazardous article moistly and comfortably." The box packaging looks eco-friendly but I'm not sure if it is made of recycled materials. It would be really cool if it is since this is an organic product. Ingredients for this product are the following: Aloe Barbadensis Leaf Extract, Argania Spinosa Kernel Oil, and Tocopheryl acetate (Vitamin E acetate). The bottle contains 20 ml of product which I think is quite a lot of product for a facial oil. It comes with a dropper which dispenses the product and I think it is a practical and efficient way to go for this type of product. The oil is a little bit yellow, which reminds me of the Organix Moroccan Argan Oil I use for my hair. It has a slight scent of eucalyptus to it which is a great aromatherapy scent. It doesn't say on the ingredients list that they use eucalyptus but to me it smells just like that but it probably is the aloe. I use two drops of this product, dispensing one drop at a time, all over my face after cleansing and applying my toner. I concentrated this product mostly on my dry areas and on my break outs. The product feels light on the skin, even if it's an oil, it doesn't feel greasy or thick at all. I was a bit worried that this would ruin my pillow covers when I sleep but it didn't. The oil does sink into the skin a few minutes after application but you can definitely still feel a bit of the oil on your skin after 3 hours.When I woke up the next morning after I used this product the zits that I had the night before went down. As for my dryness, it didn't drastically moisturize my face. My face was still a bit dry but it was better than the night before. I have been using this product every night for two weeks since I got it but hasn't made my skin feel all that soft and moisturized fully. I can't say that this product doesn't work because it actually does what it says on the product description - calm skin that is under stress, moistly and comfortably. My skin did feel a lot calmer, my pimples went away after 2 days of using it, it does leave the skin moist hours after application and it is very comforting on the skin. The only thing I would have liked this product to be is to have a more long lasting moisturizing effect on my skin and completely relieve me of my dryness. I do recommend this product for those who have normal to dry skin just to help moisturize the face. I can't, however, say that I recommend this for oily and acne prone skin. Though it is a calming product that relieves skin stress, those who have oily and acne prone skin usually tend to break out even more when oil-based products are applied to the skin. If you have oily and acne prone skin and you want to try this out, I suggest that you apply this at night and test it out on a small part of your face with acne. Test it for a couple of days and if you see a difference on your acne on the test area, slowly use it on the other parts of your face. Remember to cleanse with a light facial wash the next morning to prevent clogged pores with oil build up. For those with dry skin, you can definitely get away with just washing your face with warm water so your skin will not become even drier. I hope this review helps and this product actually made me want to try more facial oils. Hope you have a great day and always stay pretty! I'm really into using oils lately so I would love to try this! Great review! I haven't really heard of that product, but everytime pimples pops out, i normally use avon products the zit zappers they're great! Anyways, great review would really love to try it one day. Hi Zozo! That is a great idea! I'll try it out some time! :) Thanks for this tip!